ASHEVILLE — The photographs and stories of more than fifty Western North Carolina farms are featured in a 2012 wall calendar that can be purchased at select Asheville stores and some N.C. Cooperative Extension Centers in the region. 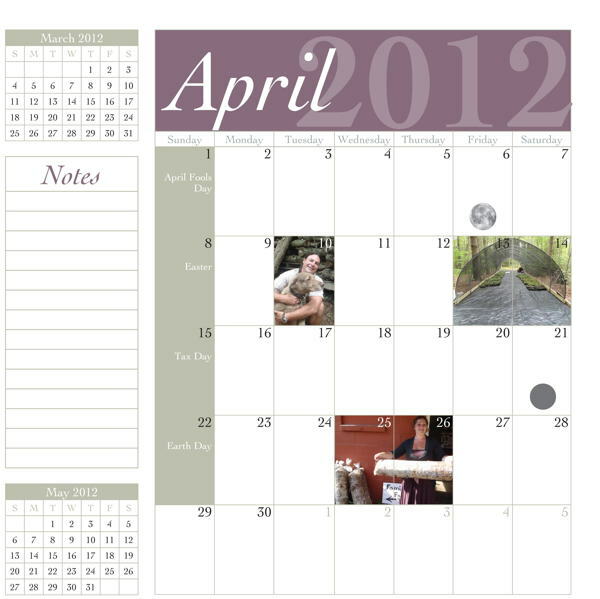 Each year, WNC Agricultural Options produces a calendar highlighting grant recipients who received support from the program, which assists farmers who are diversifying or expanding their operations. The calendars celebrate the diversity of mountain farms, build a sense of pride among recipients and educate other farmers about potential ventures. 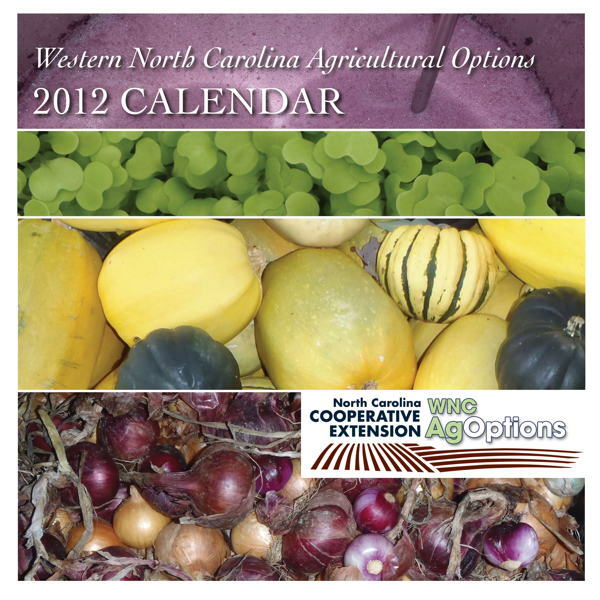 This year, WNC AgOptions leaders are distributing the calendar widely to the public for the first time as a way to expand the number of people reached, as well as capture much-needed funds in a tight budget year. To continue to offer educational materials such as the calendar, the program is raising funds for production costs. The calendars are currently available at the French Broad Food Co-op, The Fresh Quarter in the Grove Arcade and Malaprop’s Bookstore/Cafe. Call (828) 649-2411 for a list of Cooperative Extension Centers that are carrying the calendars. 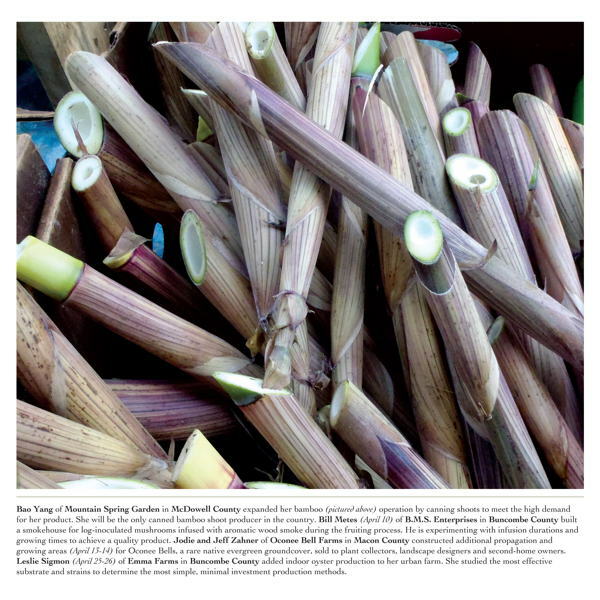 The 2012 calendar features such unique projects as microgreens, canned bamboo shoots, goats used to clear invasive vegetation, and Black Perigord and Burgundy truffles. It also celebrates the mountain region’s long-time traditional products such as Christmas trees, milk, berries, honey and beef. 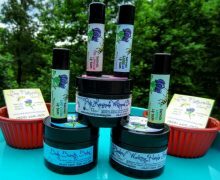 One Cherokee Indian Reservation grower expanded her crawfish pools and sold canned and frozen wild greens, all traditional Cherokee foods. The N.C. Tobacco Trust Fund Commission has exclusively funded WNC AgOptions since 2003. In partnership with the West District of N.C. Cooperative Extension, the RAFI-USA Tobacco Communities Reinvestment Fund managed the farmer grants in 2011. WNC Communities will administer the program in 2012. For more information about the program and partners, see the following: WNC Agricultural Options: www.wncagoptions.org; N.C. Cooperative Extension Centers: www.ces.ncsu.edu; N.C. Tobacco Trust Fund Commission: www.tobaccotrustfund.org; WNC Communities: www.wnccommunities.org; Tobacco Communities Reinvestment Fund, RAFI-USA: www.ncfarmgrants.org.